It's funny how things happen. Having a blog has introduced me to people that I would otherwise never have the chance to meet. I've met other Texans, fellow Speech Pathologists, people from other countries, hilarious people, awesome writers, amazing photographers and people who like chippy and rusted as much as I do. I just recently met a new blog "friend" that truly was a surprise. I have been planning a post for a while now to spotlight some beautiful things I have that I wish more people would seek out for their home too. My paternal grandmother was a china painter. She painted so many things, so many different kinds of things that we were given as gifts as children or inherited when she passed away in the early 1970's. 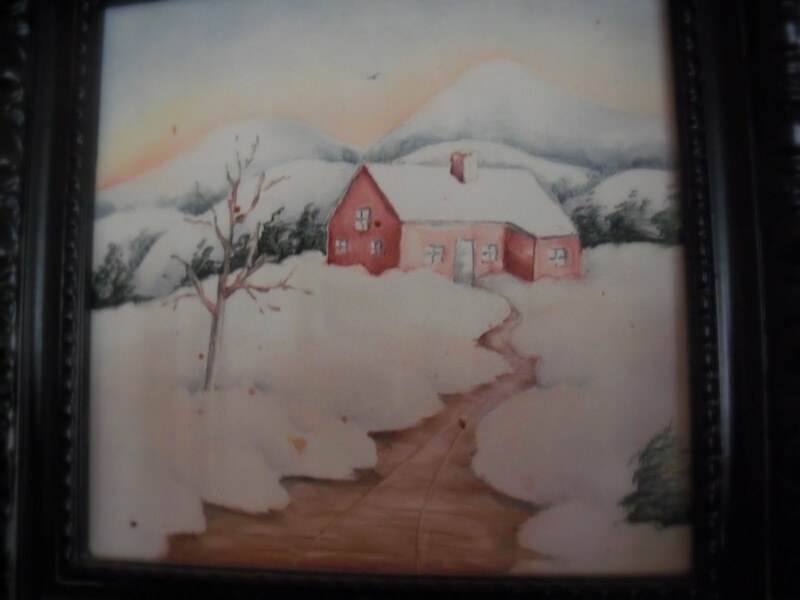 Inspired by her talent, my mother took lessons and painted china for a few years as well so I have many of her things. Sadly, it seems to me that china painting may be a dying art. I don't understand that. So many blogs I've seen love soft pastel colors (pink, blue, green) blended with cream, shabby chic style decorating or cottage style complete with soft roses. Pieces of beautifully painted china fit so well in those decorating styles yet I don't see many, if any, feature those kinds of pieces. One of my newest followers is Amy at Vintage Porcelain Art. I always check out the blogs of any new followers or commenters so I clicked on hers to visit. Oh my. 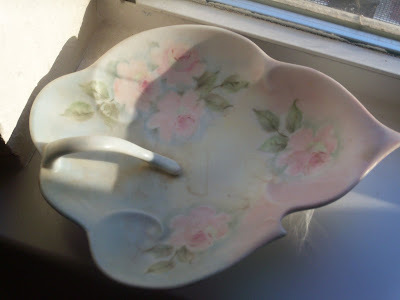 As I read her blog, I saw some beautiful pieces that reminded me of my family treasures. She, too, felt like it was a dying art that people needed to rediscover. She's quite the talent and has even been featured on tv! Please go check her out. Looking at her blog inspired me to finish this and get it posted. 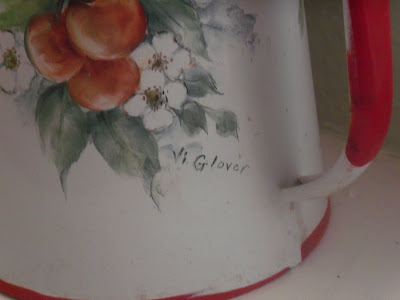 my mom painted this pitcher/glass set. I've never used it because I'm scared to wash it. I know I can hand wash it but it just really makes me nervous. It has 6 glasses to go with the pitcher. Love the bold red and green colors in this bowl painted by my grandmother. This is one of my favorite things ever by my grandmother. 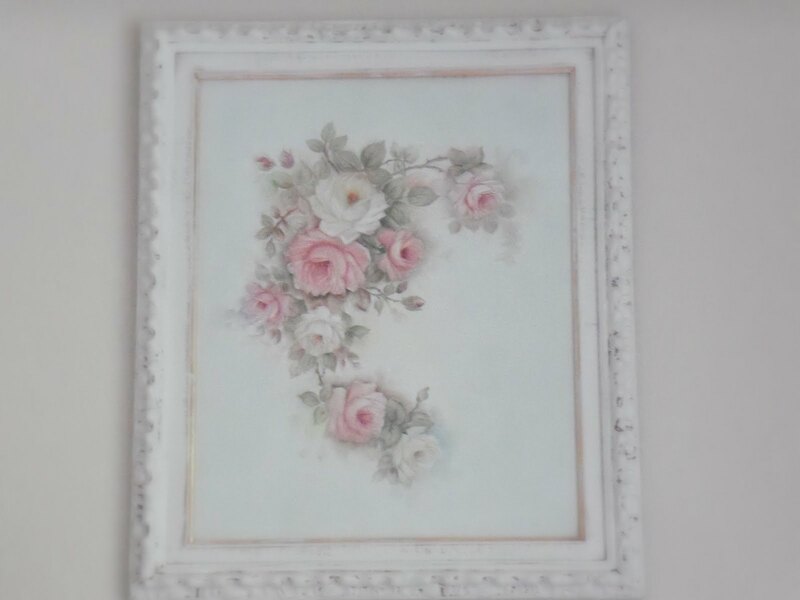 I hope this inspires you to find a pretty piece of painted porcelain for your house. If you already have some, I would love to see it. Maybe I could do a follow-up post to showcase what others have. I'm going to link this to some of my favorite link parties in the list at the top of the page or below on the right. Wow, your grandmother and mother are both very talented! 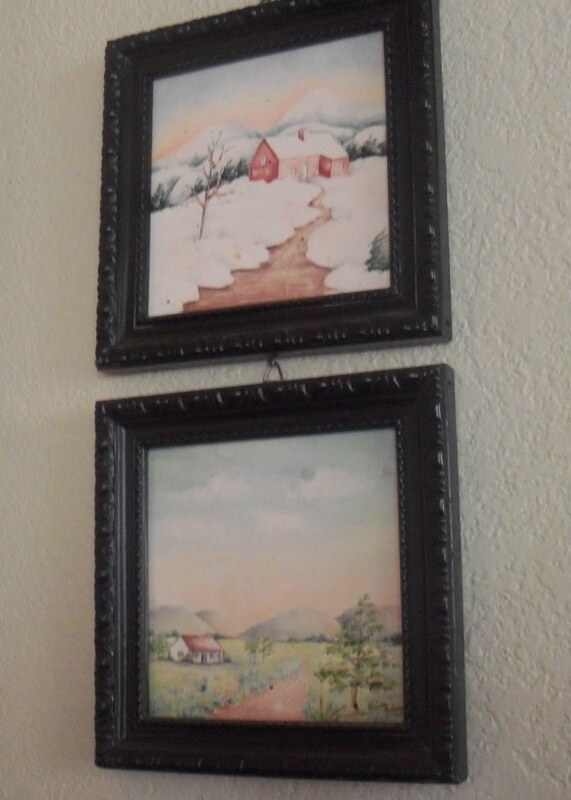 I have always wish I had the talent to pick up a paint brush and do something decorative. 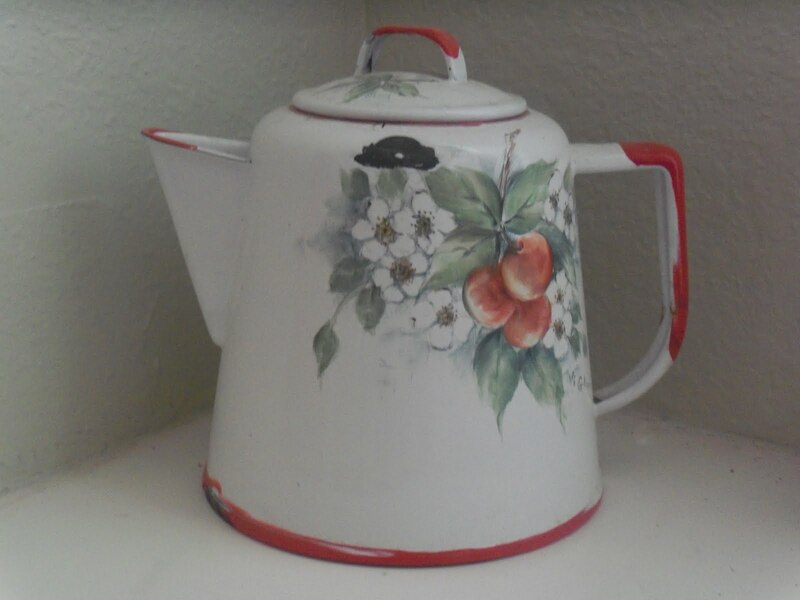 My favorite piece is of course the red and white enamel coffee pot! Love that. That coffee pot is amazing. I love the colors and I love the memories that each piece evokes for you! What talent! All those pieces are so beautiful! I really like that little tiny one, too. Those are all so gorgeous! I couldn't pick one that I like best. You have much talent in your family. What beautiful treasures. I am in awe of the talent of your mom and grandmother and the wonderful heirlooms that they have created. Thank you for sharing such beauty. Oh my goodness, those are beautiful heirlooms. 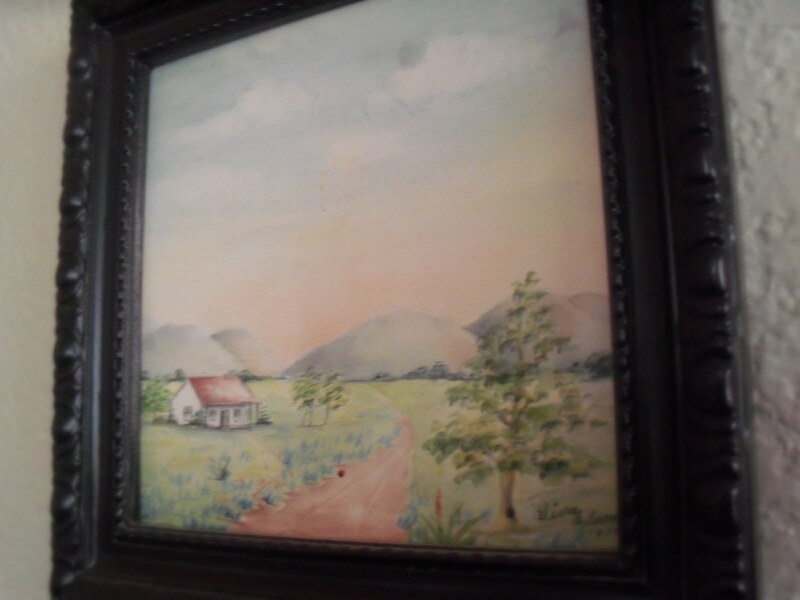 I would give anything to be able to paint like your mother and grandmother...did you inherit the art gene? The pitcher and glasses truly are stunning. My favorite is the bowl of apples...beautiful. Dude, you mom and your gramma were amazing. Obviously it just gets passed down from generation to generation! What a beautiful post! I'm am so honored that you mentioned me! Thank you so much! Your mother and Grandmother did beautiful work! Wow, Gina, these are really beautiful pieces. I have never even heard of painted china. I love the large flowers that you say hang over the fireplace - but my favorites are the spring and winter tiles. They are simply breathtaking...and so evocative of another era. 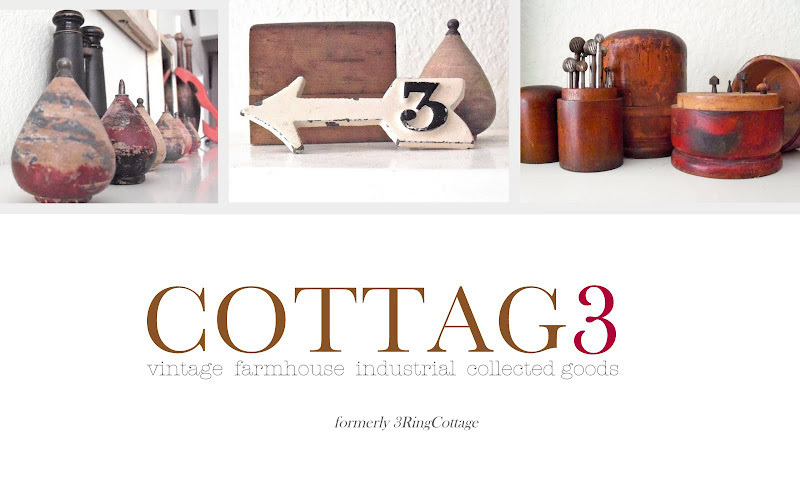 What amazing family treasures. Those are beautiful. I can see why that that painted jug is your favourite - the flowers are lovely and it has some red touches. 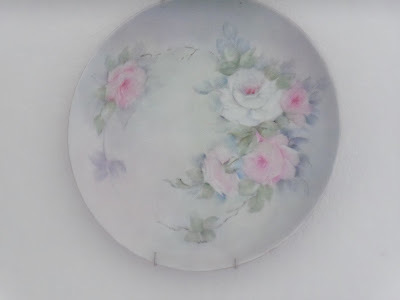 My mother has one plate that someone in her congregation made for her (she was a minister) and you are right about the soft lovely colours. They're beautiful. I always like the less formal things, so I'm especially drawn to the enamelware coffeepot. How awesome!! Your mom and grandma were very talented. I can't even figure out which one I like the best. Thanks so much for intrducing this lost art. Oh heavens, those are stunning. Your mom and grandmother painted those? By hand??? Yes, those ARE amazing treasures. I'd be afraid to use the pitcher set too! These are all beautiful! Thanks for linking to FTF! 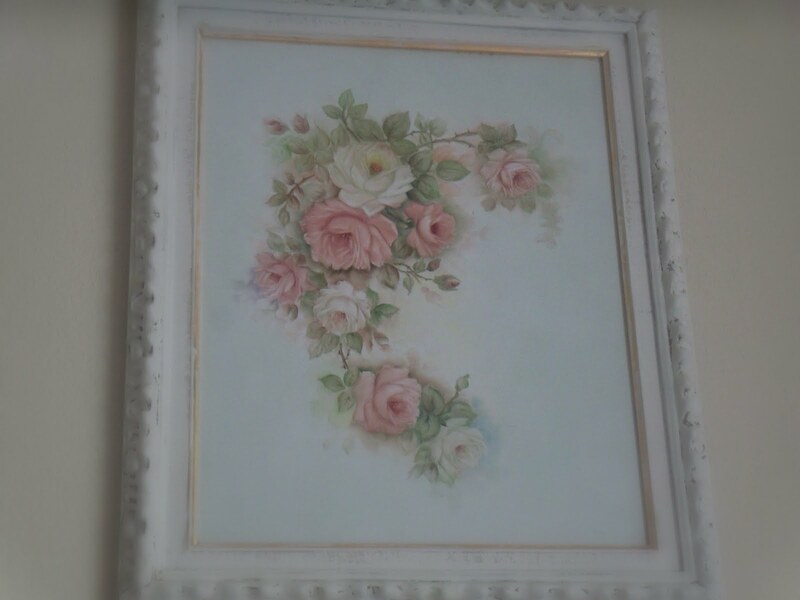 My great-grandmother also painted china and did many beautiful paintings as well. We all treasure the ones that were passed down to us. Great post!